In January, our site is wet, cold and muddy, but our trainees carry on with their work outside or in the polytunnels and things continue to tick along. But like any business, we are always looking round the corner to see where we will go next. 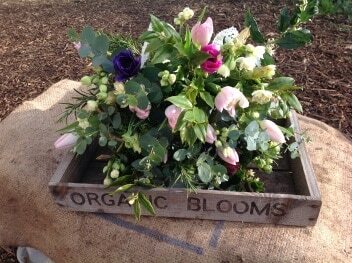 January for us at Organic Blooms, is one of those months when we take stock and plan for the coming seasons. This month we have made two very important decisions. 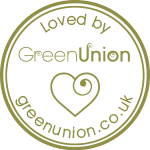 The first being that we will begin the conversion of our site to Organic certified land and the second is that we will buy in flowers from Cornish growers, so that we can continue offering floral arrangements to our customers. Although we already grow to Organic principles, we are not yet Certified as Organic.  As I write this blog our application is being prepared for the Soil Association. It will mean a lot of work and it will take 2 years, but we feel that it is a journey worth taking, as it will give our business integrity and meaning. Buying flowers in is something we have rarely done at Organic Blooms. Occasionally, at the beginning of the season we have bought flowers in for weddings as our brides must have their flowers! As our flowers become unusable around October, our growing season actually only runs for six months of the year. We have decided that we will buy in flowers from Cornish growers, who are able to grow all year round under glass, in a milder climate. Then, as our growing season begins, our flowers will take over. Our Anemones are already budding in the polytunnel. 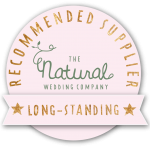 We love being able to supply you with beautiful British Grown flowers. Roll on Spring!